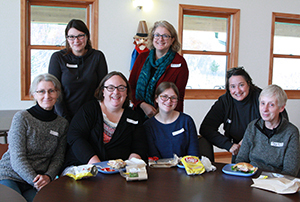 Buffalo Pepin County Literacy Alliance (BPLA) aims to help individuals throughout the Buffalo and Pepin counties of Wisconsin develop literacy skills. Learners receive instruction in GED preparation, English language, basic education and financial literacy. Encompassing different sectors of the population such as English as a second language (ESL) learners, corrections and community members, their services empower individuals to become more self-sufficient and active citizens. BPLA was initially an initiative of the Criminal Justice Coordinating Council of Buffalo and Pepin counties in West Central Wisconsin. Recognizing the need for GED certification and other literacy skills to those in the criminal justice system, the council founded the initiative in 2012. 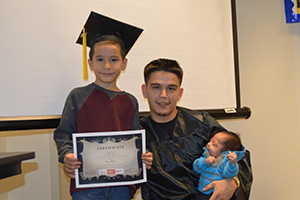 Soon after its inception, BPLA volunteers found that many community members wanted access to GED accreditation, literacy services and continuing education. Because of these reasons, BPLA combined services in education and employment and opened literacy services to the general public in 2013. They also created a vocational literacy curriculum that is taught in the Buffalo Pepin County Jail. 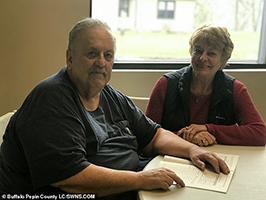 Spearheaded by the efforts of Gwenn Sweeney who is the outreach coordinator at BPLA, the organization has established itself as a valuable resource in the Buffalo Pepin counties. They receive many referrals from local high schools, public libraries, job centers, criminal justice organizations, human services and nursing services in each county. Sweeney attracts learners through her grassroots outreach. 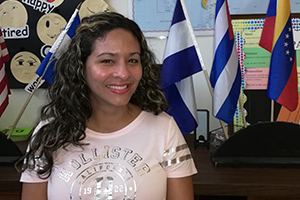 As she describes, knocking on doors, visiting public libraries with brochures and notifying the school districts, are all ways that she raises awareness and attains learners. BPLA currently serves 10 learners and has more than 25 volunteers. In addition, the volunteers that are tutoring learners have all been certified and trained for working with the adult population with special needs. The special needs learners receive a modified curriculum. At the onset, Sweeney tests learners to evaluate their competency and then materials are adjusted according to their needs. Attention span, reading skills, focusing skills and confidence are all specific challenges for special needs learners but with the help from BPLA volunteers literacy and confidence are achieved. BPLA has had a notable impact on the Buffalo and Pepin Counties and they continuously strive to expand their literacy programs to under-served individuals.